Explora Patagonia’s history runs deep. Launched in 1993, it was the first hotel built inside the premises of Torres del Paine National Park. Since then, it has maintained its position as a luxury mainstay in Chilean Patagonia. Built using “environmental architecture”, the lodge has been purposely designed to allow travelers to inhabit this remote region, while paying homage to its surroundings at the same time. It serves as the perfect base for exploring the highlights of the park on the lodge’s “explorations,” or daily excursions out into Torres del Paine. Explora Patagonia offers a luxury experience deep inside Torres del Paine National Park. 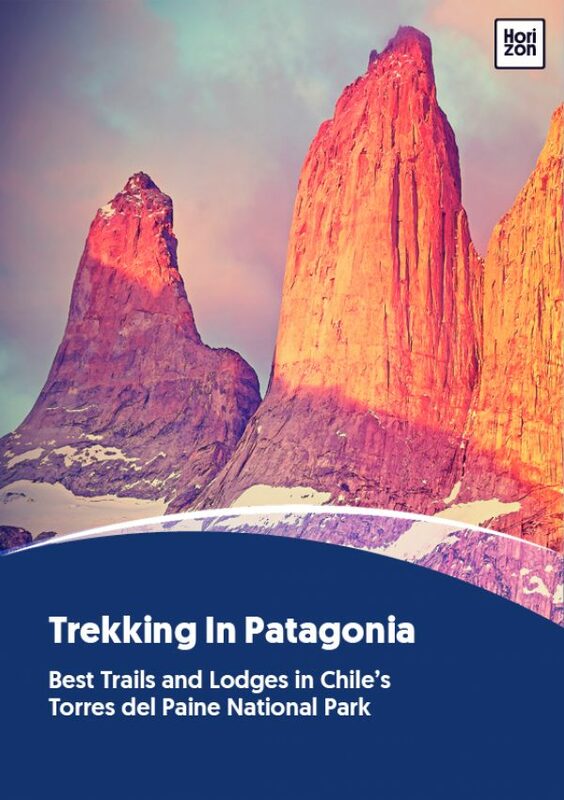 Its privileged location makes it possible to explore every corner of the park, while awing guests with breathtaking views to the Torres del Paine Massif. With over 40 explorations, Explora covers all areas in the park either on foot, horseback, or by van. Explora Patagonia is the only hotel in the area with its own horses, bred and trained especially for horse expeditions. Horseback riding explorations are suitable for beginners, intermediate and expert riders. All guests are invited to live the Patagonian experience of riding through the park alongside a gaucho. For extra pampering, a massage room and pool area are located 100 meters away from the main building, connected by a sloped wood path. It is equipped with a heated, covered pool, sauna, and four open-air Jacuzzis with views of the Paine River. Inside, you can choose from a menu of essential oil massages. The 49 rooms of Explora Patagonia are designed to take full advantage of the silence, privacy, and spaciousness of the surrounding landscape, ensuring deep rest after a long day of exploration. Explora seeks disconnection from everyday routine, which is why the rooms are not equipped with televisions or Wi-Fi (only available in the hotel’s common areas). Explora’s dishes have been designed to allow guests to venture out on explorations and still feel light, agile, and healthy. Based on its principle of “luxury of the essential”, the kitchen sets out to offer pure flavors from quality ingredients. Dishes are always accompanied by a superb Chilean house wine. The hotel also carries a menu of premium wines for those that would like to explore Chilean wine culture. Local products such as lamb and centolla (sea food) grace the menu, which usually consists of at least five different entree options per meal. One of the most popular circuits is the W Trek that follows the trails that surround the Paine Massif. This circuit requires at least five days for completion. Explora’s day trips to the Torres Base, the Grey Glacier and the Valle del Francés (French Valley) bring out the best of the W Trek circuit. Explora is the pioneer of the Alto de la Sierra hike, and holds exclusive access to the route. To get there, hikers leave the hotel by van to reach a steep path facing the Paine River, Lake Toro and the Serrano Plain. Up in the mountains, the path delves into an old-growth forest, where the trees creak and the wind howls as if it’s enchanted. The hike culminates with an ascent to a lookout exposed to the strong Patagonian winds, giving unique views of the Paine Massif and its surrounding lakes.